The purpose of this series covering performing an Echocardiographic Exam is to assist the reader through the performance of both a basic and advanced transesophageal echocardiography examination as well as basic transthoracic echocardiography. Learners participate in the interactive learning modules by correctly answering multiple choice questions dispersed throughout. Learners will be prompted to try again if a question is answered incorrectly. The course will open in a new tab – to exit the course, simply close that tab. Board certified in anesthesiology, critical care, and advanced perioperative transesophageal echocardiography. 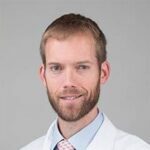 Learn More about Robert H Thiele, MD. DISCLOSURE: This individual reports no relevant financial relationships with commercial entities. Please take a moment to rate this course. How relevant and helpful was the course content? How visually pleasing was the course? How easy to navigate was the course? How beneficial was this course to you? How likely are you to recommend CardioVillage to others? Stay Informed! Sign up to receive news, training updates and educational offerings from CardioVillage. CardioVillage provides continuing education (CE) credit in cardiovascular medicine. Need assistance with CE certificates prior to March 8, 2018? Contact our Service Center at support@cardiovillage.com.